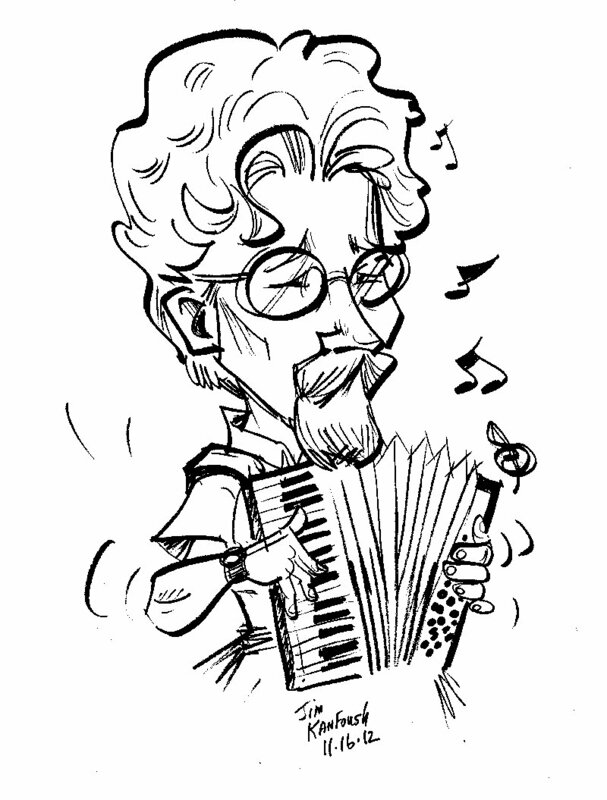 Henry Doktorski, accordionist; caricature by Jim Kanfoush (November 16, 2012). Concerti and suites by Astor Piazzolla, Alan Hovhaness, Nikolai Chaikin, and others. Original classical works and transcriptions. Lecture/Recital: The Life and Music of the Deiro Brothers: Guido and Pietro. Light music suitable for corporate events, receptions, parties, weddings, etc..